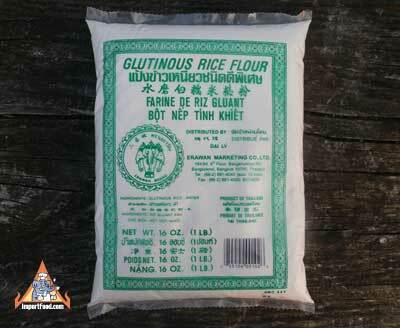 Glutinous Rice Flour is also known as sweet rice flour or sweet rice powder, this flour is made from short-grain rice that becomes moist, firm and sticky when cooked, a result of its higher proportion of waxy starch molecules. 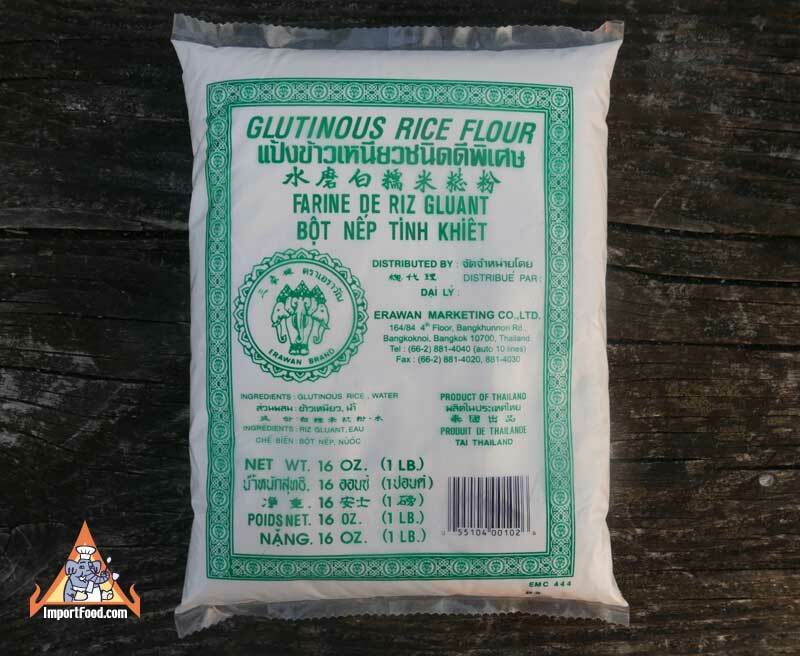 Because of its chewy texture, glutinous rice flour is a favorite base for dumplings, buns and pastries. Sweets made with glutinous rice flour are popular and widely available throughout Southeast Asia. Useful Hints: regular rice flour should not be substituted in recipes that call for glutinous or sweet rice flour. Product of Thailand. Glutinous rice is also called sweet rice, or sticky rice. Usually Thai desserts are served cold, but this one is unique as it is meant to be served warm. We love the consistency of the balls, almost powdery and a bit like Japanese desserts. Usually in Thailand a sweet poached egg that has been cooked in sugar syrup, is spooned onto the top of each serving, but that's optional. A brass wok is used here which is the perfect authentic preparation, as this sweet dessert will always be made using a brass wok if the chef specializes in bua loi. Here we prepare two different versions, one basic and another similar using pumpkin to create a vivid orange color and rich flavor.